What a difference a day makes. On Wednesday, December 17, I went down to where Riverford Rd. crosses over the San Diego River. I realize that isn’t technically Santee, but it was the best spot to take some pictures of the river after all the rain we have had. Then I stopped there again on Thursday, December 18, and talk about a difference. Much of the water had passed downstream and the river was back to its regular channel, although much higher than usual. So, here are some pictures showing the “before and after” of the flooding. If the latest weather reports are on target, we should see another repeat of these scenes this coming week. 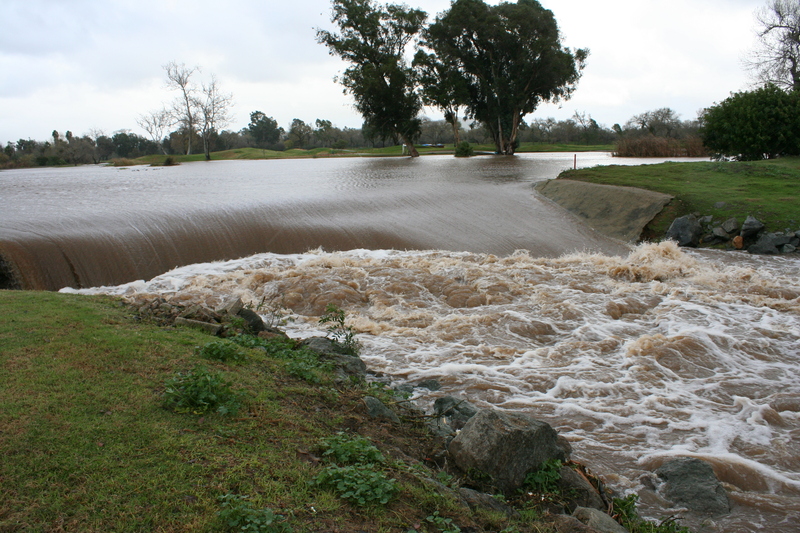 But this time we may see more runoff and flooding, so be careful out there. That, my dear readers, is a picture of the normally dry – or barely a trickle – Forester Creek where it passes under Mission Gorge Rd. 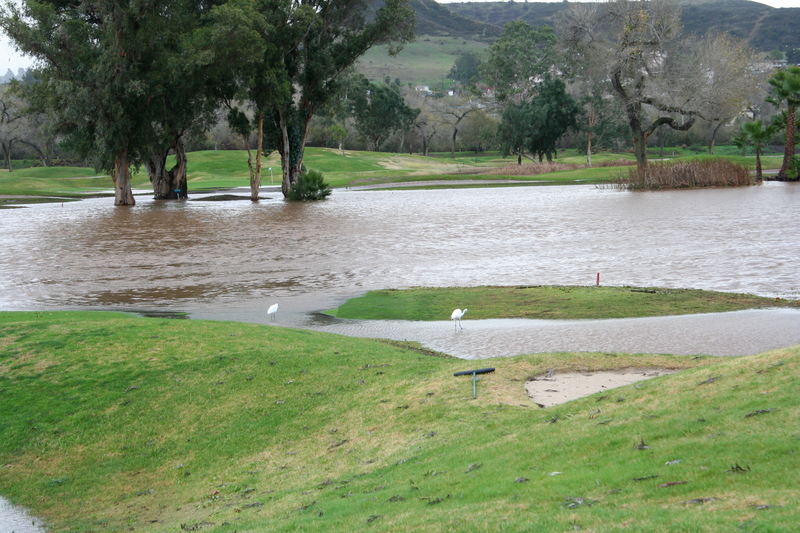 This is what happens when we get some real rain – over 3″ this week alone, according to weather reports. I wish I had a picture from before the rains to compare, but I’m sure many of you have seen it while driving through town. I thought it was quite impressive, and a testimony to the work that was done on restoring the channel. If you remember what it looked like before the project, you can imagine what a mess this would have been without the work. For those who don’t remember, it was choked with all sorts of non-native vegitation, including masses of the arunda reed, which has been a real problem in several local waterways. With so much blocking the channel, this water would have been up over roads, into yards and parking lots, and just basically causing a real mess. 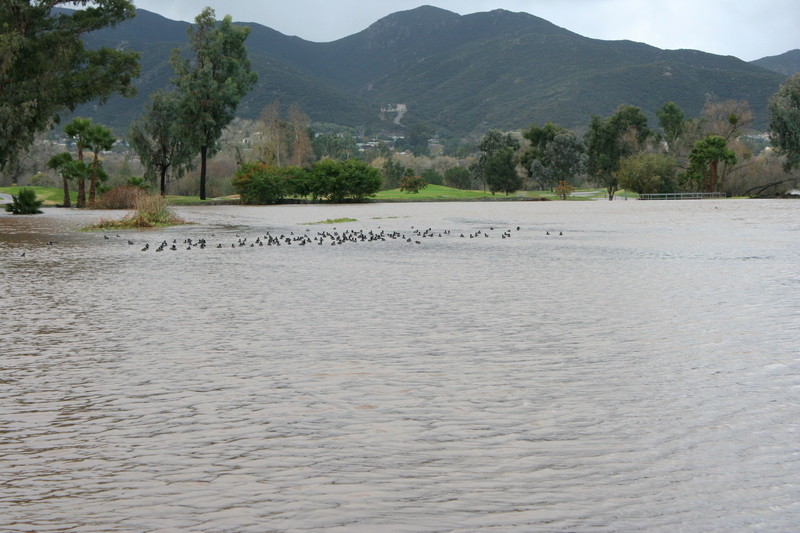 This is also a reminder to stay away from these areas for the next several days as the water drains from surrounding hillsides, all the way from El Cajon and east to here. This water is moving very fast, and anyone who has ever tried walking through a heavy stream knows how much power there is. I saw several large clumps of reeds and bushes that had been uprooted and swept away. Don’t let something like that happen to you. 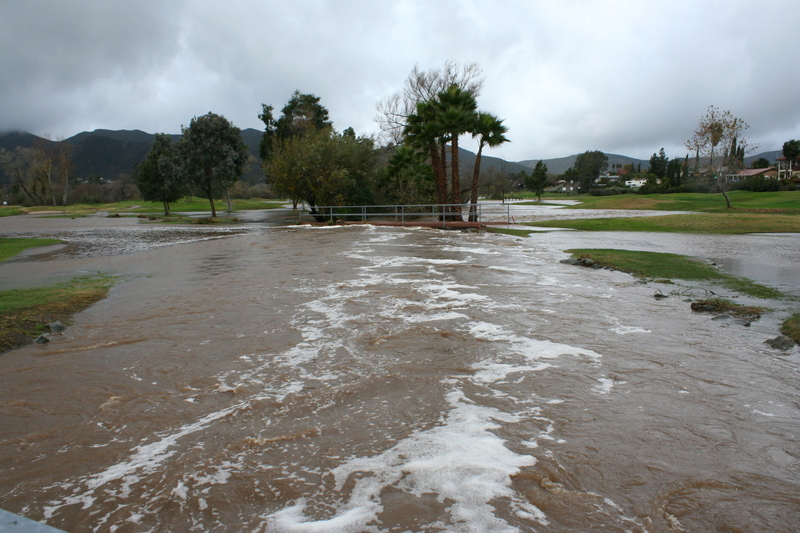 Here are a few more pictures of Forester Creek at Mission Gorge Rd. Forester Creek north of Mission Gorge Rd. 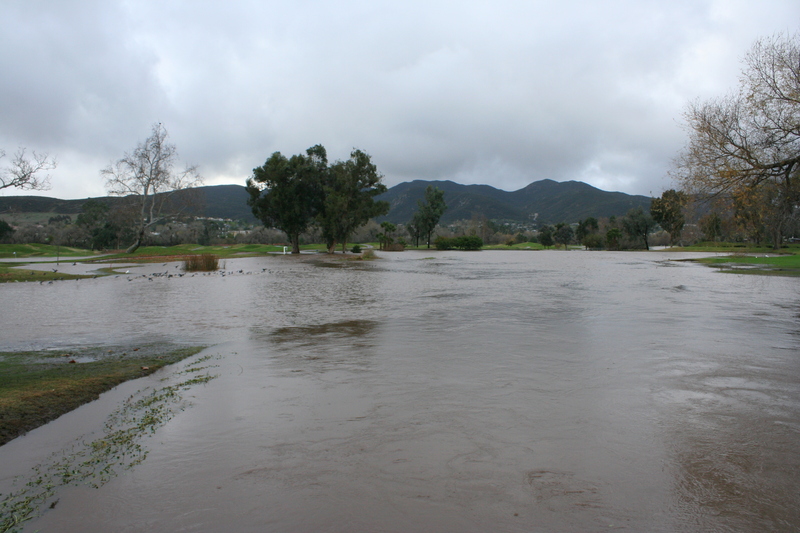 Flooded Access Road from Mission Gorge Rd. A bit later I will be posting some pictures of the San Diego River as well. Tagged as Flooding, Forester Creek, Mission Gorge Rd.